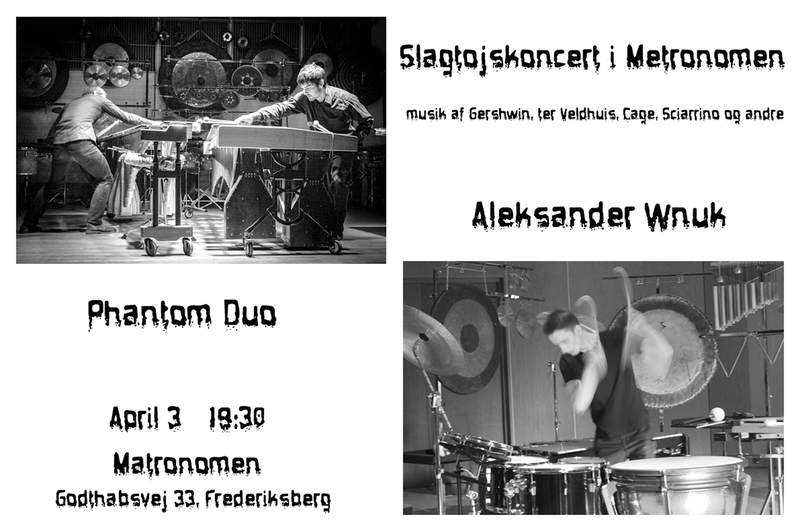 Me and Phantom Duo – Anders Elten and Tomasz Szczepaniak, wish to invite you to our concert in Metronomen, Frederiksberg. We are gonna perform a number of great pieces for both, duo and solo percussion, of big variety of styles from transcriptions of Paganini or Gershwin, through Cage, to Sciarrino. All this in a very moody place and a relaxed atmosphere. We will be very pleased to see everybody who wishes to spend an evening in such place and in such way, with us. There shall be a small bar and possibly a tiny After-Party! Previous Post “Scratch Data” by Raphaël Cendo, in March!